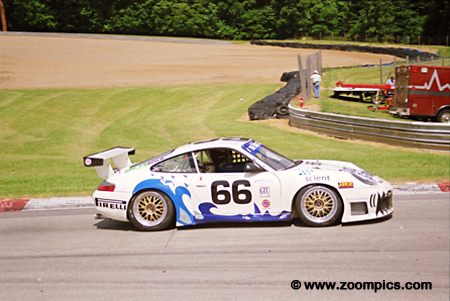 The Grand American Road Racing (Grand Am) series was established in 1999 after the demise of the United States Road Racing Championship (USRRC). The original USRRC was created by the Sports Car Club of America (SCCA) in 1962 and ran until 1968 when it was replaced by the Can Am series. 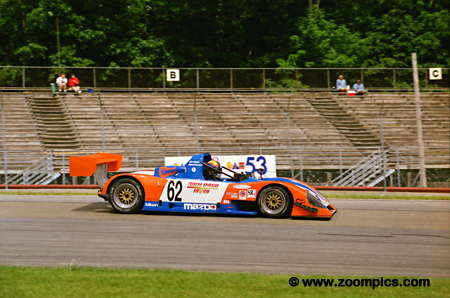 In 1998 the SCCA revived the USRRC as an alternative to the International Motor Sports Association (IMSA) series, however, it lasted only two seasons. It had moderate success the first year but in 1999 there was very little interest among competitors and the final two rounds were cancelled. 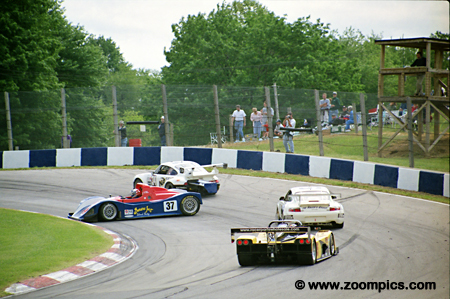 In early June, Mid-Ohio hosted the U.S. Road Racing Classic which was the fifth round of the 2000 Grand-American Road Racing Series. The 250-mile endurance race had forty-one starters with thirty cars being classified as finishers. The No. 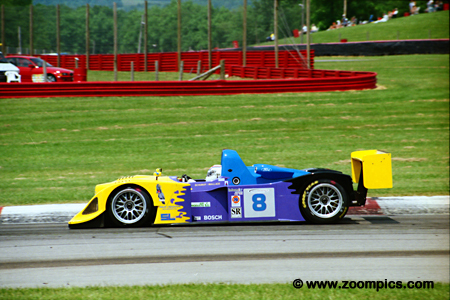 16 Dyson Racing Riley & Scott was set to dominate the Mid-Ohio event when misfortune struck. Following on the heels of the previous weekend’s success at Lime Rock James Weaver captured the pole position at the Mid-Ohio. He and co-driver Butch Leitzinger led much of the race until lap-86. A bolt in the suspension backed out which required Weaver to pit. He lost 4-laps for repairs which dropped them to eighth in SRP I. Taking advantage of James Weaver’s misfortune and with some excellent driving by Jack Baldwin the Robinson Racing Riley & Scott Mk III moved from fourth to first in the final 30-laps of the race. The win was particularly gratifying for team owner George Robinson as it was his first race back after a bout of malaria. 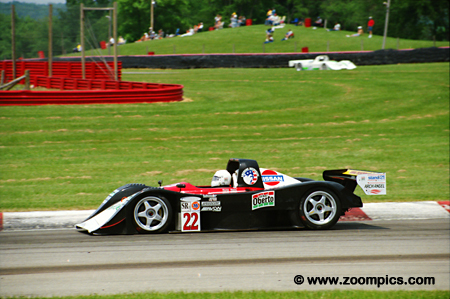 Sharing the front row for the start of the race was the Creighton Motorsports Lola B2K/10. This should have been no surprise to the competition as the car was qualified by Andy Wallace, who shared the driving duties with former IMSA Lights Champion Scott Schubot. The duo ran a very competitive race in the new car and finished third. 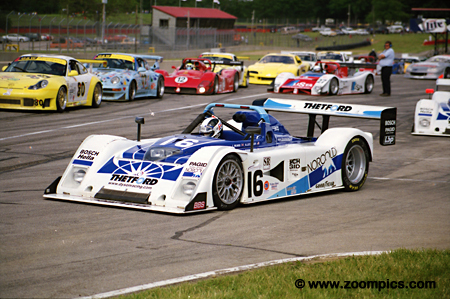 One of the best-looking cars at Mid-Ohio was the No. 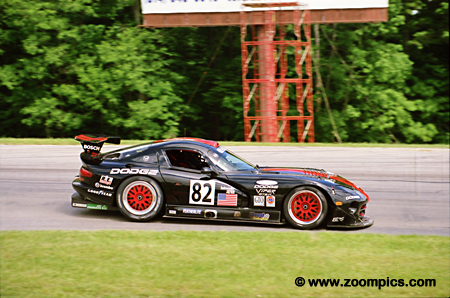 82 McCann Racing Dodge Viper GTS-R. This car was built the French Oreca Racing team. It was raced by team owner Jim McCann and Tommy Archer. The car proved competitive but only completed 40-laps – the result of Archer spinning the car into a gravel trap. In the SPR II class, the Archangel Motorsport Lola B2K/40 of Ryan Hampton and Larry Oberto took the win and finished an impressive seventh overall. The duo was having a tremendous season in the Grand Am series as they had captured four SRP II victories in four starts. The battle for class honours in GTU was between the No. 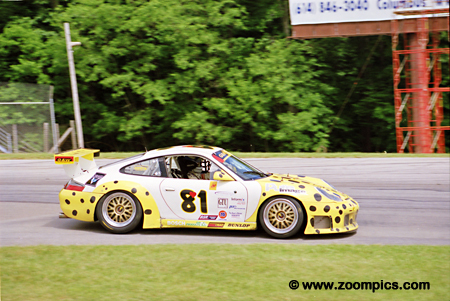 81 G&W Motorsports entry and the Fordahl Motorsports Porsche RSR. Mike Fitzgerald and Darren Law in the G&W car not only took the class win but finished ahead of the quicker American GT and GTO competitors. Elliot Forbes-Robinson and John Paul Jr. shared the No. 20 Dyson Racing Riley & Scott. On lap-91 of 111 Jack Baldwin passed Forbes-Robinson for the lead relegating the Dyson pair to a second place finish. Forbes-Robinson finished just under 10-seconds behind Baldwin. The GTO class was expected to be a battle between the points leading Saleen Mustang and the Dodge Vipers of Team Viper West and McCann Racing. But problems delayed all three teams allowing the Doncaster Porsche 911 Turbo driven by Greg Wilkins and David Lacey to take the class victory. Terry Borcheller and Ron Johnson finished second in the GTO class. The Saleen-Allen Speedlab Mustang drivers were in a race long battle with the Dodge Vipers of Team Viper West and McCann Racing. But electrical problems hindered their progress and under the circumstances, the team had to be satisfied with their results. 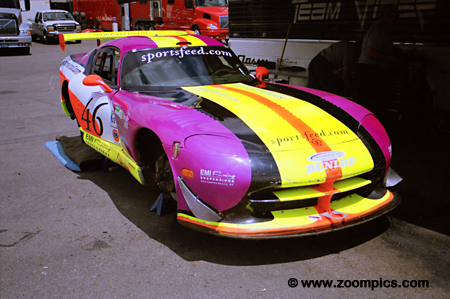 The Team Spencer Motorsports Kudzu DLM suffered accident damage a week earlier at Lime Rock and their attendance at the Mid-Ohio round was in question. 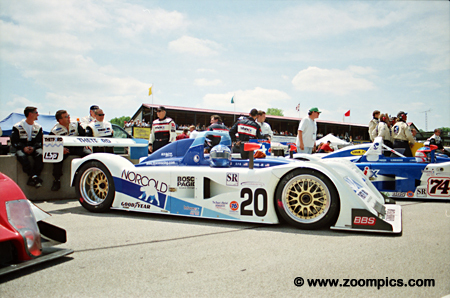 But the team made repairs and the car was able to qualify albeit last in SRP II. 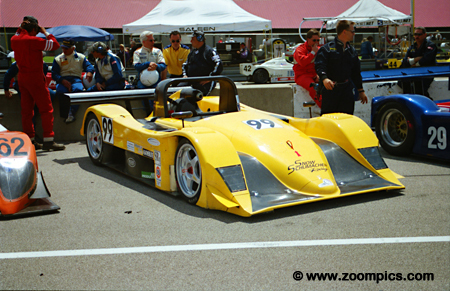 During the race, drivers Richard Grupp and Dennis Spencer made good process and finished second in class and tenth overall. Erik Messley and Stu Hayner shared the Team Viper West Dodge Viper. 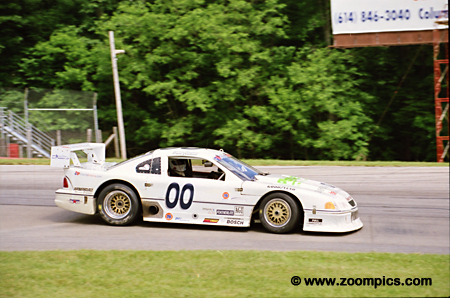 A week earlier at Lime Rock was the team’s first foray into the Grand Am series. An axle issue resulted in a fourth place finish. 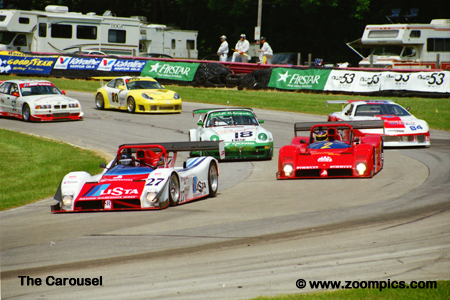 At Mid-Ohio, the team was leading the GTO class when the differential failed but they completed enough laps to classified third. 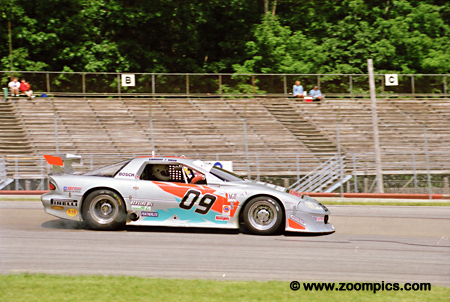 Finishing 3-laps up on their competition and taking the American GT class win was the Spirit of Daytona Chevrolet Camaro driven by Craig Conway and Doug Goad. 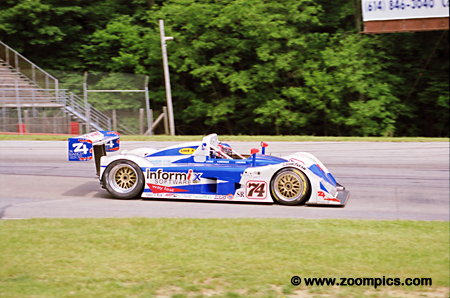 This team was dominating the class in 2000 but at Mid-Ohio they were threatened when the Ford Mustang of Orion Motorsports qualified first. During the race, the Mustang threat did not materialize. The No. 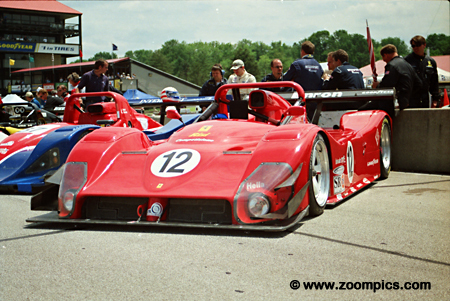 12 Risi Competizione Ferrari 333 SP was driven by Mimmo Schiattarella and Ralf Kelleners. The Ferrari drivers started fifth and led briefly. But the car’s poor fuel mileage contributed to a fourth-place finish - the last car to finish on the lead lap. The No. 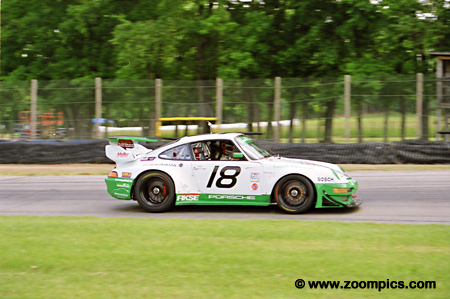 18 Fordahl Motorsports Porsche 911 Carrera RSR was shared by Randy Pobst and the only female in the field Kim Hiskey. It was a busy day for Pobst who had competed in Sunday morning’s 3-hour Motorola Cup race. The pair started second in GTU and finished third in class. Qualifying third in SRP II were Larry Schumacher and Martin Snow in a Lola B2K/40. 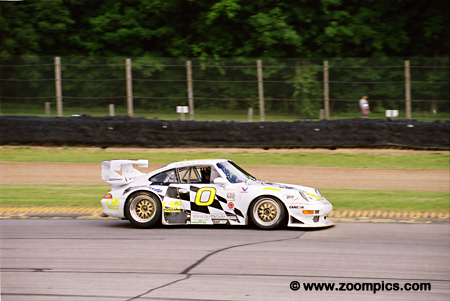 Schumacher and Snow had a lot of success competing at the GT level in Porsches. However, they were being challenged by reliability issues in the Sports Racing class. At Mid-Ohio, they finished a season-high third. 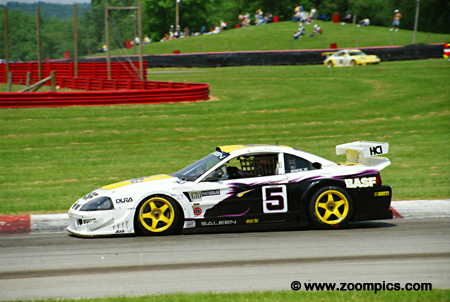 The only non-Chevrolet entered in the American GT class was the ex-Roush Racing Ford Mustang of Orion Motorsports which was driven by Paul Jenkins and Bruce Nesbitt. They started first in class but finished third - 7-laps behind the American GT winners. Jon Field spun the No. 37 Intersport Lola B2K/10 early in the race. The car driven by Field and Oliver Gavin started sixth but retired after just 9-laps with gearbox problems. As a result, Field switched cars and joined his twin brother Joel in the team’s Riley & Scott. The pair finished sixth the SRP I class and overall. Finishing second in GTU but 1-lap behind the class winner was the Racer's Group Porsche 911 GT3R driven by Kevin Buckler and Philip Collin.